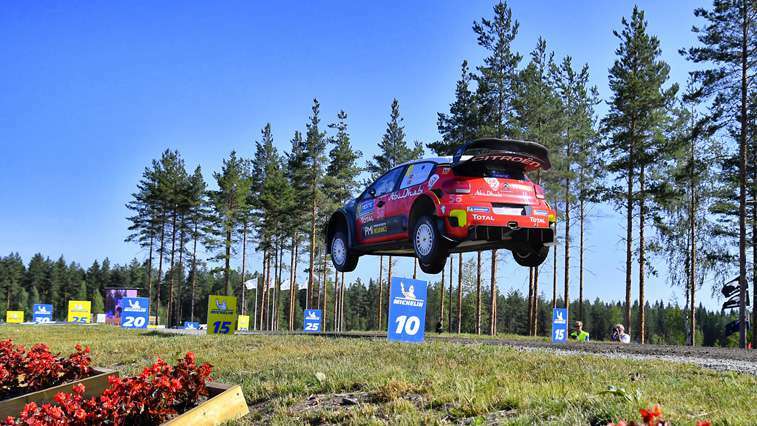 Having already claimed four overall wins (2008, 2011, 2012 and 2016) here on the ultra-fast Finnish stages, Citroën has shown their value countless times at this very unusual event, where you need a precise car in which the drivers feel especially confident. This year's rally proved to be no exception to that rule. Starting at the shakedown, where Mads Østberg – convinced he had the best car that he had ever driven in thirteen appearances on these stages – topped the timesheets, followed closely by Craig Breen. 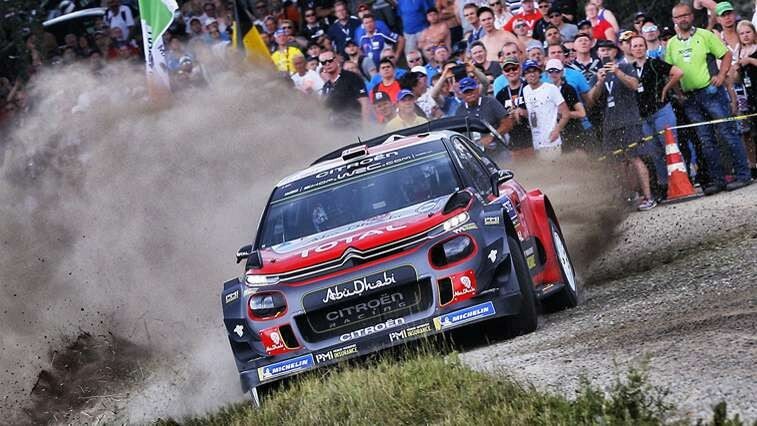 It was clear from the outset that the Citroen pair was going to be a force to be reckoned with this weekend. The Norwegian immediately grabbed second place when the real action began on SS2, before then taking the lead on SS4 thanks to his first stage win. With another two stage wins in the afternoon, he held the lead for four stages, before ending the opening leg in second place, just 5.8s behind Tänak, the future winner. In the meantime, Craig Breen had unfortunately picked up a puncture on SS2, which cost him 47.8 seconds and with it, any chance of featuring among the leaders. He was unable to make up the time lost and therefore found himself high up the running order (third on the road for the next two days) on a surface where the grip improves as more cars complete the stages. However, as soon as the conditions were kinder to him, the Irishman grabbed the slightest of opportunities to show his pace, as seen in his stage win on SS8 and the time set on the Power Stage (+1.7s over 11.12km), ultimately ending the rally in eighth position. On his second WRC outing of the year after Argentina, Khalid Al Qassimi's progress was brought to a halt on Saturday morning following a mistake on SS12. He rejoined under Rally 2 rules on Sunday and went on to finish the race. Meanwhile, Mads Østberg picked up on Saturday where he had left off on Friday, holding off the constant attacks of Jari-Matti Latvala, a former three-time winner of the event. He took a 5.4 seconds lead into Sunday's final leg, despite being undoubtedly hampered by carrying an extra spare tyre on the afternoon loop. When the action resumed on Sunday morning, the 30 year-old Norwegian made his intentions crystal clear to his rivals with another stage win, his fourth of the weekend. He held off Latvala magnificently right until the end to finish as runner-up, his best result at this iconic rally after two third-place finishes in 2013 and 2015. It must feel a bit special to secure a third podium of the season, especially at an event like Rally Finland and after such a close fight? "Yes, we certainly have plenty of reasons to be happy this weekend. With five stage wins, our car was the only one that could keep up with Toyota Gazoo Racing WRT on home soil, which just goes to show yet again how incredibly competitive it is on all surfaces. We knew that Mads had a lot of experience at this round, so he had good reason to believe he could do well here. Despite this, Mads’ consistency and pace was still extremely impressive. Unfortunately, Craig's rally was dealt a body blow at the start, which is a shame because he also had the ability to do well here. But we know all too well that on these roads, where sweeping is so significant, it's almost impossible to make any progress when you're no longer well placed in the running order. However, what he managed to do in the Power Stage, up against the guys fighting for the championship, proves that he also had the pace this weekend, and that's the key thing for me." What have you learned this weekend? "This result confirms that all the work done by the team, during the race and at the factory, and also in testing, is definitely taking us in the right direction. 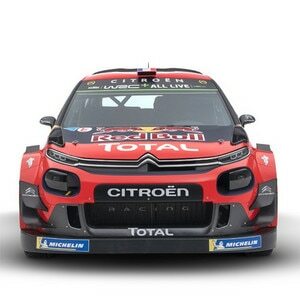 It also shows that the homologated upgrade to the C3 WRC's front axle geometry, introduced here in Finland, has been valuable and effective, as has all the other fine-tuning work done on the dampers and the differentials. I'm therefore delighted for the team, whose constant hard work has been deservedly rewarded." "We were feeling pretty confident before the start on Sunday because we had already had two strong morning loops on Friday and Saturday. It was mainly on the Saturday afternoon that we had lost time to Latvala. We knew that we had to hit hard from the word go, and Mads did just that by winning the opening stage. In truth, we lost a bit more time than we had hoped for on the third, penultimate stage of the morning, Laukaa, dropping 2.6 seconds in one go. By then, we knew that it would go down to the final stage, and that there could be a matter of tenths in it. In situations like that, it becomes imperative to try to maintain the confidence of the driver and maximise the performance of the car by being as aggressive as possible on various aspects like the weight and engine settings. These things can also have a slight impact psychologically on the crew, knowing that everything has been done to ensure that they have the best possible chance of doing well. In any case, Mads knew that it was there for the taking even though he had already lost time on the stage before. A strong performance, even on a stage like Ruuhimäki, a test that all the drivers know well since it has been part of the shakedown for many years, would see him to second place."